Out! Raleigh 2019 is coming up on May 4 (11AM-6PM), and LRR will be hosting a recording booth at the event. Out! 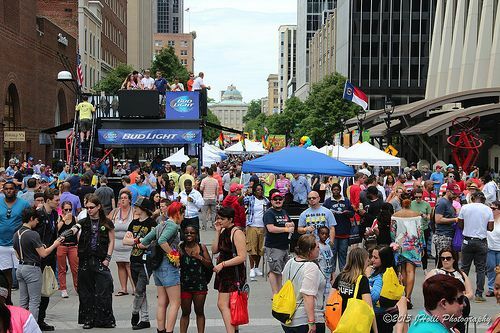 Raleigh is an annual downtown festival to support the LGBT Center of Raleigh. LRR plans to host a recording booth in which folks can record their own personal stories to raise lifestyle diversity awareness and celebrate Raleigh’s vast reserves of culture and love. Our volunteers will be on hand to help people document their connection to each other. We will be on hand to help you with the recording equipment and provide some guiding questions if you need help getting started. Would you like to volunteer at a booth? If so, contact us at listen@littleraleighradio.org.